GALAXY HOTEL is open once again under new administration. 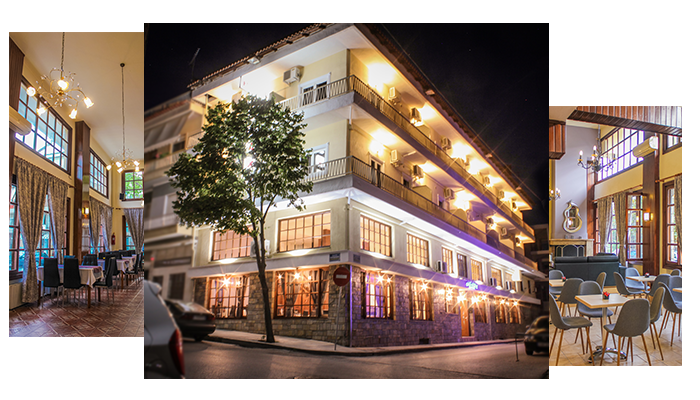 The new administration’s and personnel’s multiannual experience in the field of tourism has a unique vision of providing upgraded services ensuring low rates and high quality services.Our hotel is located exactly in Kalampaka’s center providing comfort and easy accessibility to the sites and attractions of the are , such as METEORA and local Museums.GALAXY HOTEL is 2 star hotel combining though, modern comforts and exceptional location offering our guests a comfortable and economical stay in Kalampaka. 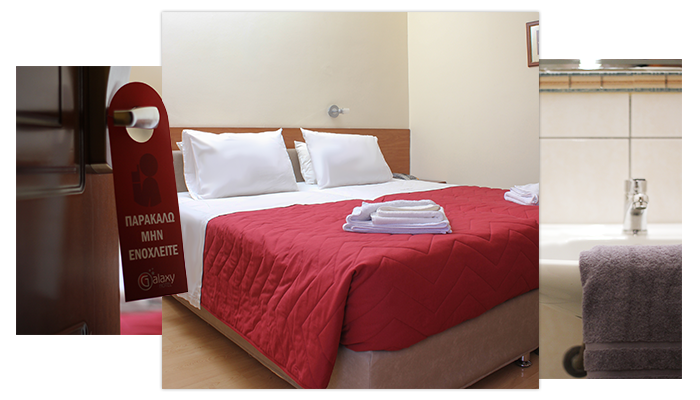 GALAXY HOTEL offers 25 rooms ( singles,doubles,triples) with views to the magnificent rocks of Meteora or the beautiful mountains of central Pindos range. All guest rooms (both floors) have natural light through balconies or windows, are fully air-conditioned/heated (depending on the season) and are equipped with all necessary facilities ( free WiFi,refrigerator,TV,personal amenities). 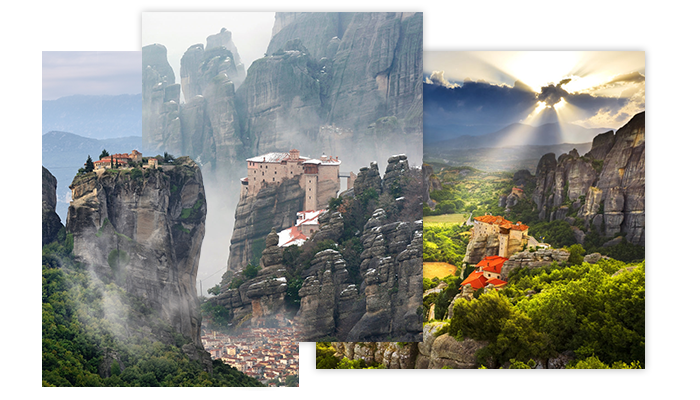 The Meteora ( literally means "in the heavens above" ) is a formation of immense monolithic pillars and hills-like huge rounded boulders which dominate the local area and especially the town of Kalampaka. It is also associated with one of the largest and most precipitously built complexes of Eastern Orthodox monasteries in Greece, second in importance only to Mount Athos. The six monasteries are built on natural conglomerate pillars, at the northwestern edge of the Plain of Thessaly near the Pineios river and Pindus Mountains, in central Greece. Meteora is included on the UNESCO World Heritage List. Nowadays, only the monasteries of Great Meteoro, Varlaam, Holy Trinity, St. Stephen, Rousanou and St. Nicholas Anapafsas still exist and are in use. Everyday, innumerable visitors gather here from all four corners of the world to meditate and pray. They get to know the life of the monks, admire the indescribable nature and the artistic architecture and agiography , and study the invaluable historic remains.